St. Patrick's Day is definitely a well celebrated holiday among my family members we are all about wearing green and drinking Guinness!! 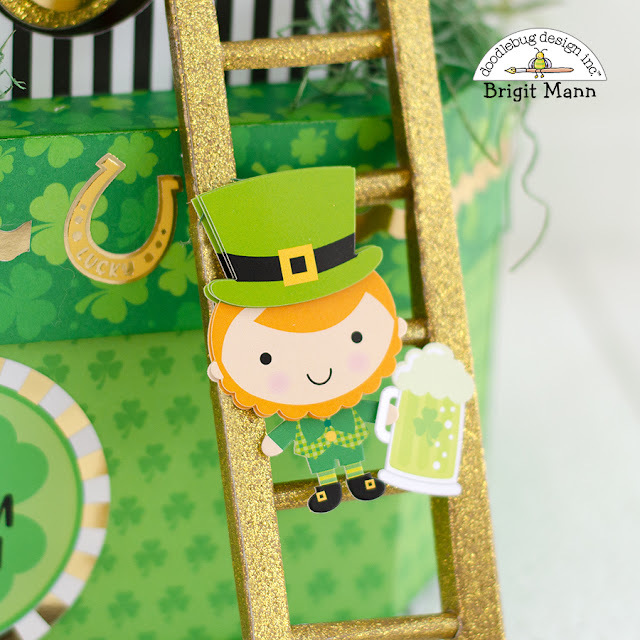 So I'm always excited for a Doodlebug St. Paddy's collection and Lots o' Luck is simply adorable!! 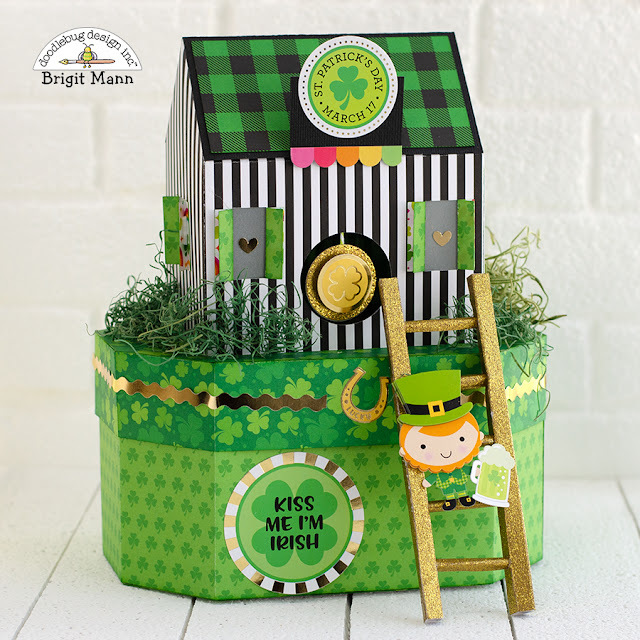 For my project, I used the gold coin inn svg file, I think this collection is absolutely perfect for this leprechaun trap, I really love how it came out. I didn't have wood to make the ladder so I just used some of Doodlebug's gold sugar coated cardstock and it really came out great. I cut two pieces 1 1/4" x 6" and scored it down the long way 1/4" four times, then I punched 5 holes an inch apart on each piece. I cut another strip 1 3/4" and rolled up about an inch each piece tightly to glue into each hole to form the ladder rungs. 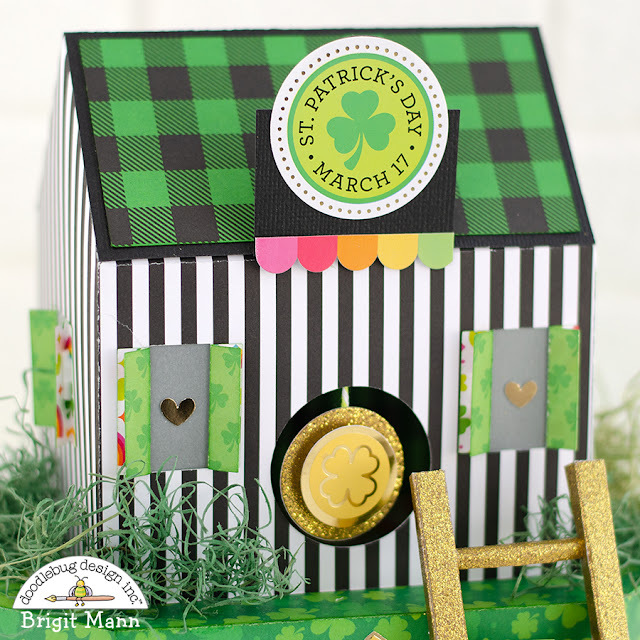 Since the inn is supposed to be a leprechaun trap and I didn't have a coin I cut out two gold circles and used the gold shamrock sticker instead, also I used the st. patrick's day sticker instead of the sign that comes with the project. 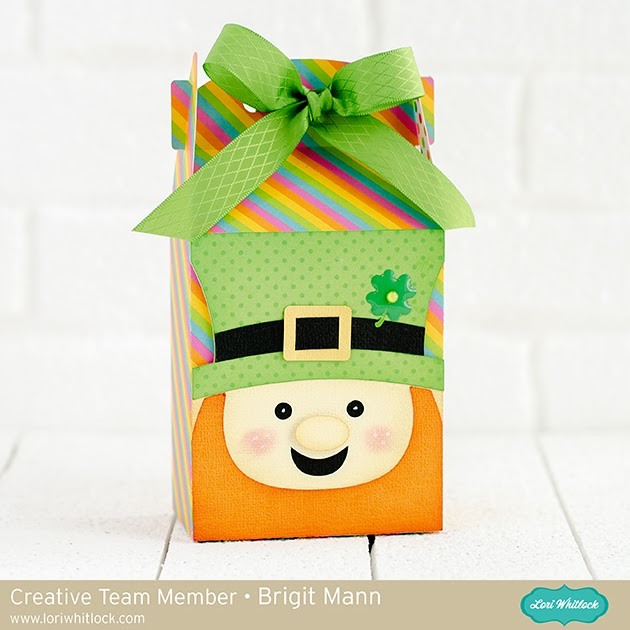 I love boxes or bags with cute little character faces on them and with St Patrick's Day coming next month I thought I'd make a little leprechaun one using the Tall heart gable box (svg, silhouette) and bobblehead card leprechaun (svg, silhouette). 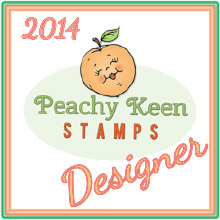 Check out my tutorial over at Lori Whitlock's Blog! 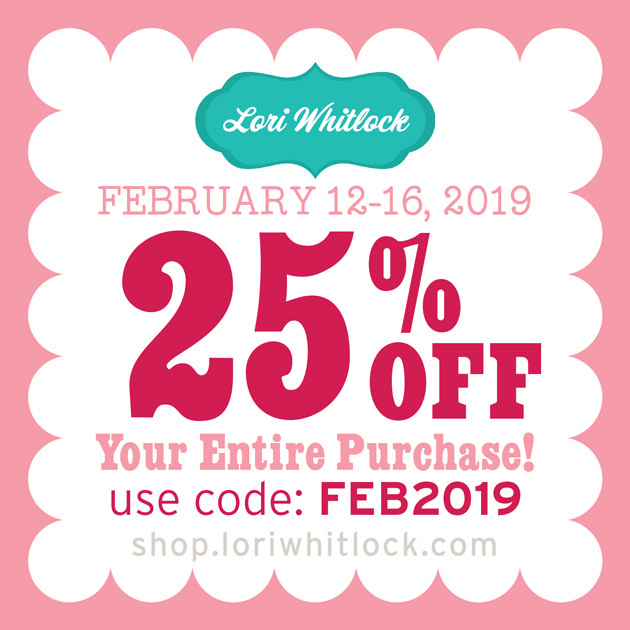 I'm so happy to have a snow day today it gave me a chance to make something with my Spellbinders January Large Die and Card Kit of the month supplies. I believe my February one will be here sometime this week so I definitely wanted to get something made from this past one. 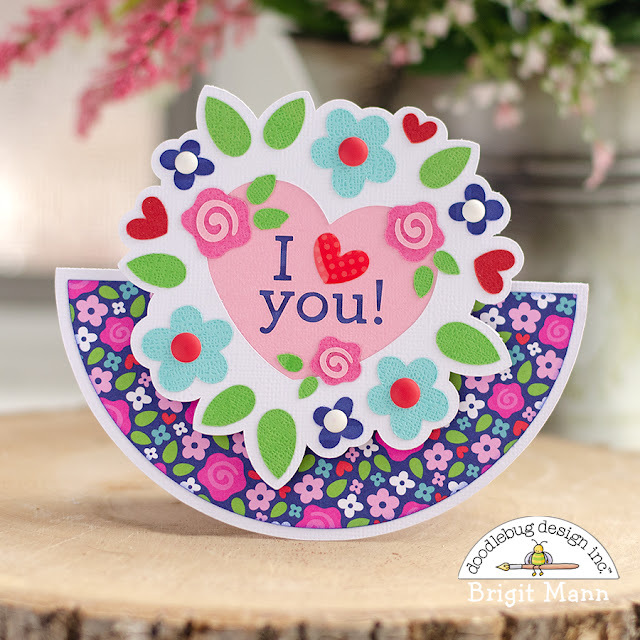 I absolutely love the papers in the card kit and this small flower print is one of my favorites, the colors are so pretty. I wanted to match the grey-green of the print so I used ice spruce distress ink with a background stamp from My Creative Time. 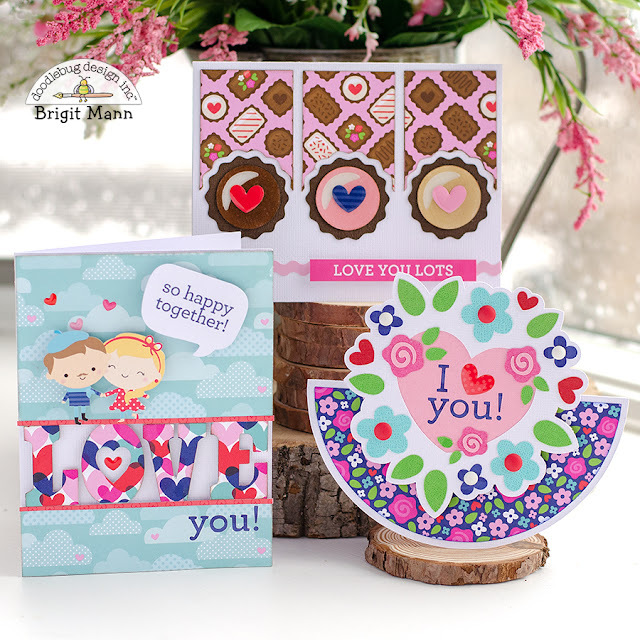 The patterned paper, sentiment, and sequins are all from the card kit and the die cuts are from the large die of the month. 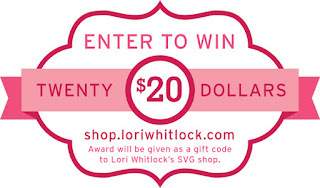 Welcome to Lori Whitlock's Creative Team February Blog Hop!! 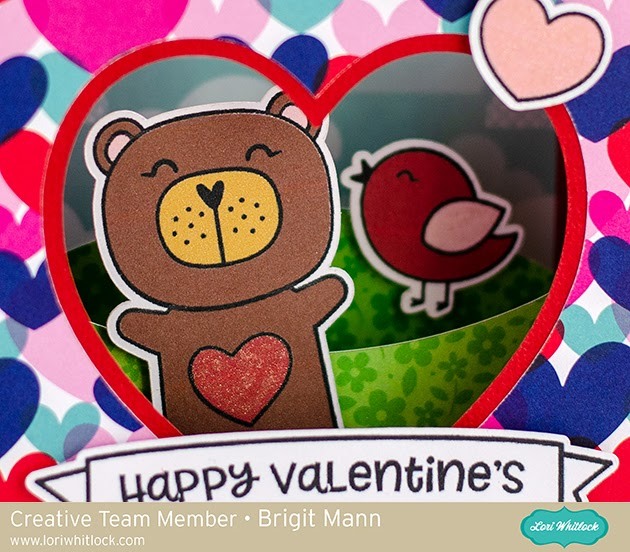 The project I made for this hop is the shadow box card scene valentine bear. The print n cut graphics make this a quick and easy project to put together, great when you need something in a hurry and don't have the time to cut out all the pieces. I love the dimensions of these shadow box cards! I added the be my valentine to the back which I also did a print n cut instead of cutting out the letters. Today's Freebie is the Valentine Pencil Hearts! 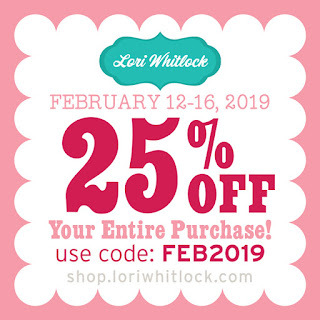 Don't forget to use code FEB2019 for 25% off. 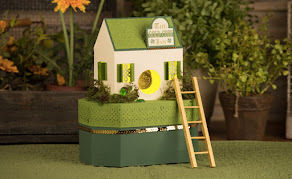 Hop on over to Michelle's Blog to see what she has made for this hop!! 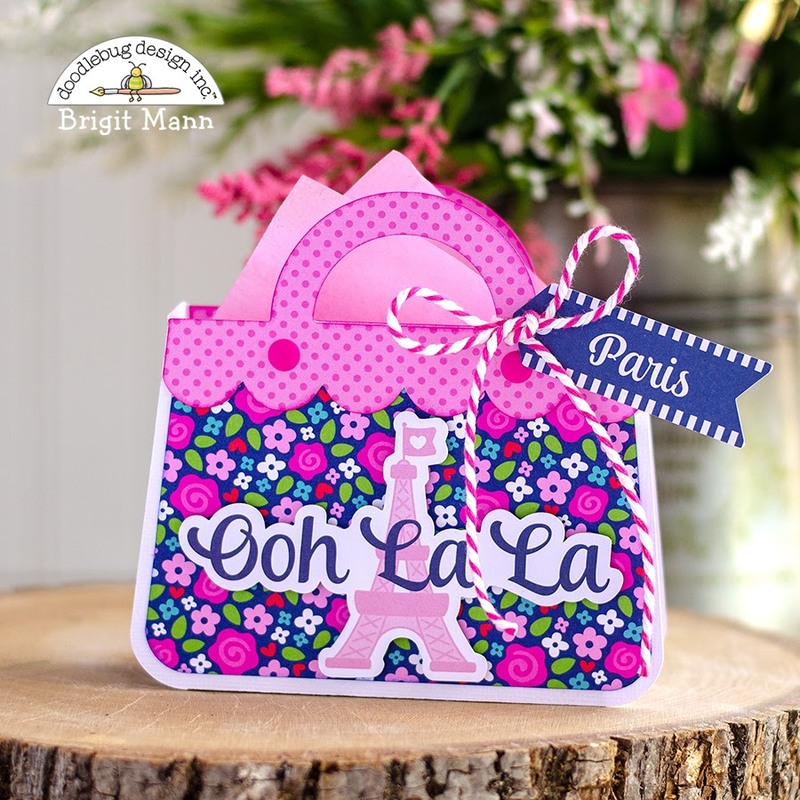 This set using Doodlebug Design French Kiss collection would make a great gift for any occasion throughout the year. The beautiful bright papers and lovely designs in this collection really made this project pop, it was so much fun to put together! The poodle sticker from the mini icons sticker sheet was my total inspiration for making this shaped dress card. I used the girl's dress and boys scarf from the french kiss couples svg file to create the dress, just a couple of alterations using silhouette studio. I love the Ooh La La from the chit chat pack, it was the perfect embellishment for the front of this bag. 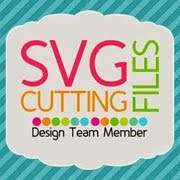 I download this adorable svg treat bag freebie over at the Dreaming Tree Store and I just love it! 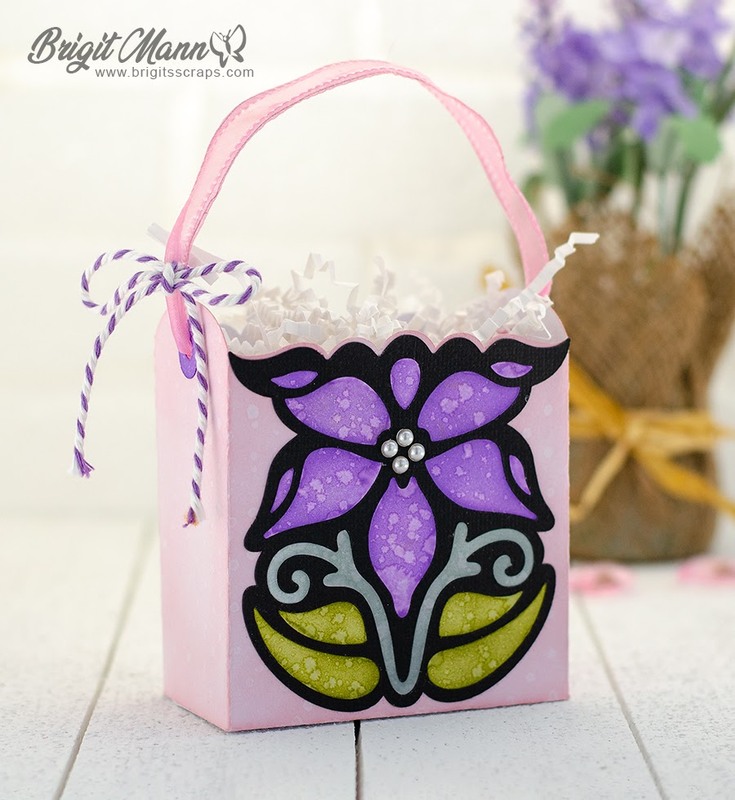 There is a layer for the flower that goes underneath the black outline but I did a release compound path to the outline in Silhouette Studio so I could color each individual piece and inlay them into the outline once it was glued onto the bag. I used distress inks and sprayed with some water and did the same to the bag for a worn tattered look. 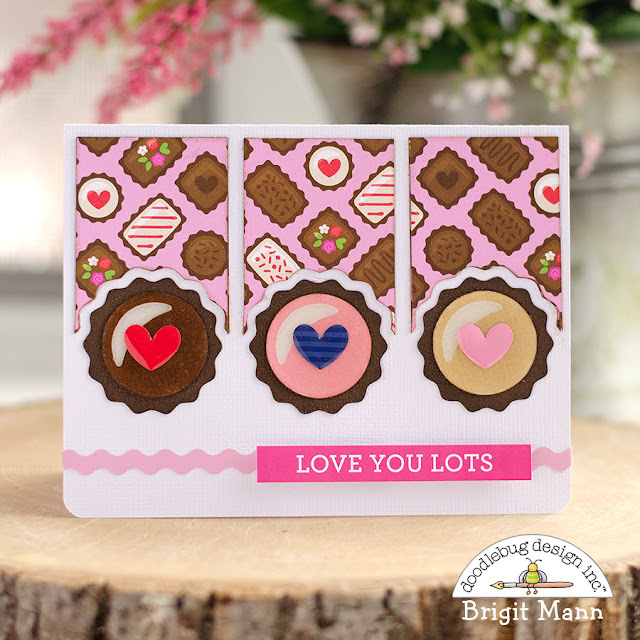 Here's a couple of cards I made using Doodlebug's French Kiss paper collection and cutting files. Though these are perfect for Valentine's day they can also be used throughout the year which makes the French Kiss such a versatile collection. 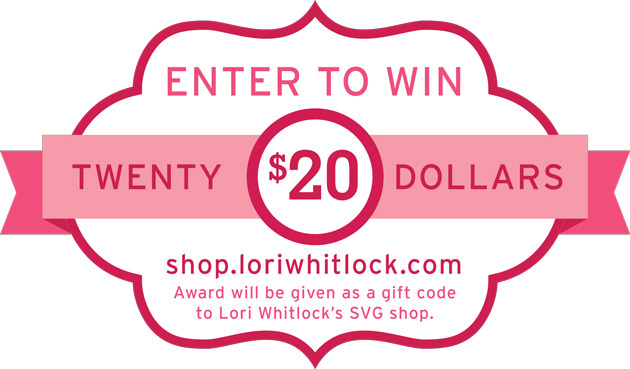 The cutting files can be bought in svg format from Lori Whitlock's shop, when they are released and also in studio format for the Silhouette machines. 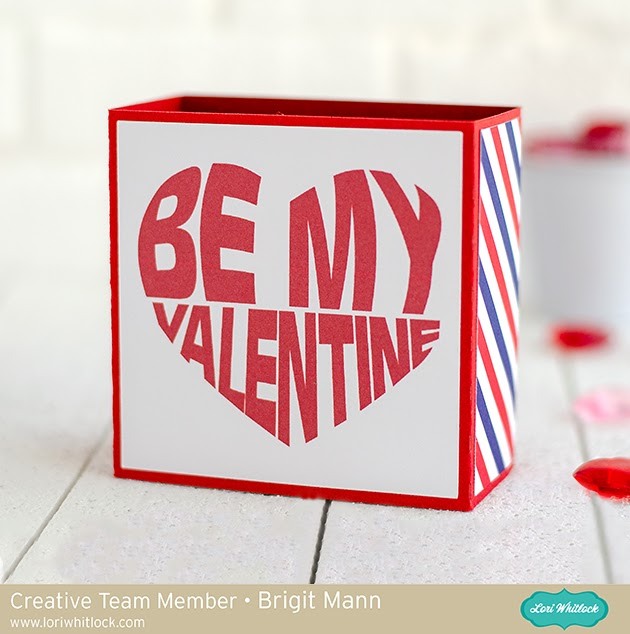 I made a cut out in the middle of the flower circle using the candy box heart svg and then did a cutout of the I and you from the notes and paper file. Here I used the chocolates 2 cut files, you can't really see in the photo but I used some glossy accents on the candies, gives them a nice shine. 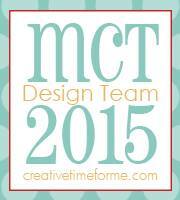 For this card, I used an svg file which already had the love front panel made I just added you as a cutout. I find it easier to do cutouts of smaller letters and just add paper to the back, don't have to line them up! !